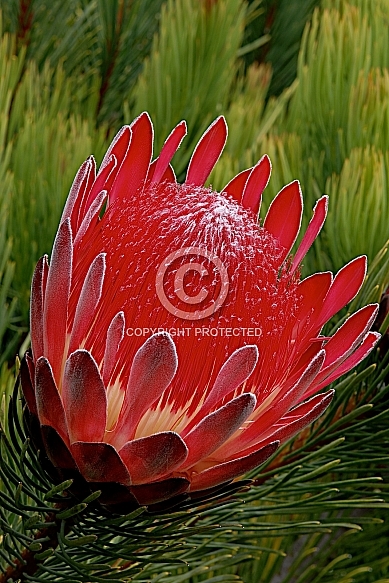 Description: Spectacular summer flowering protea species with fine, needle-like foliage.Bird attractive. More cold-hardy than most. Native to Cape Province, South Africa. 2m high x 1.5m wide.